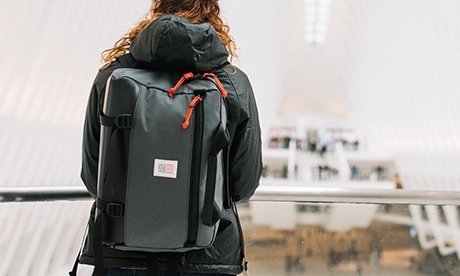 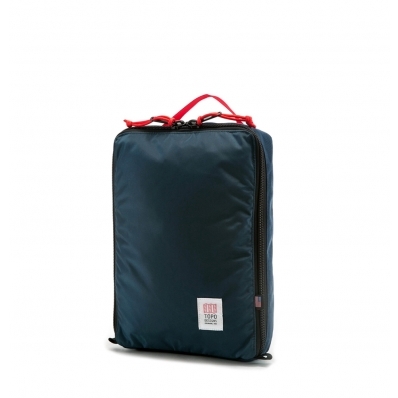 Topo Designs Pack Bag Navy, make traveling a little bit easier. 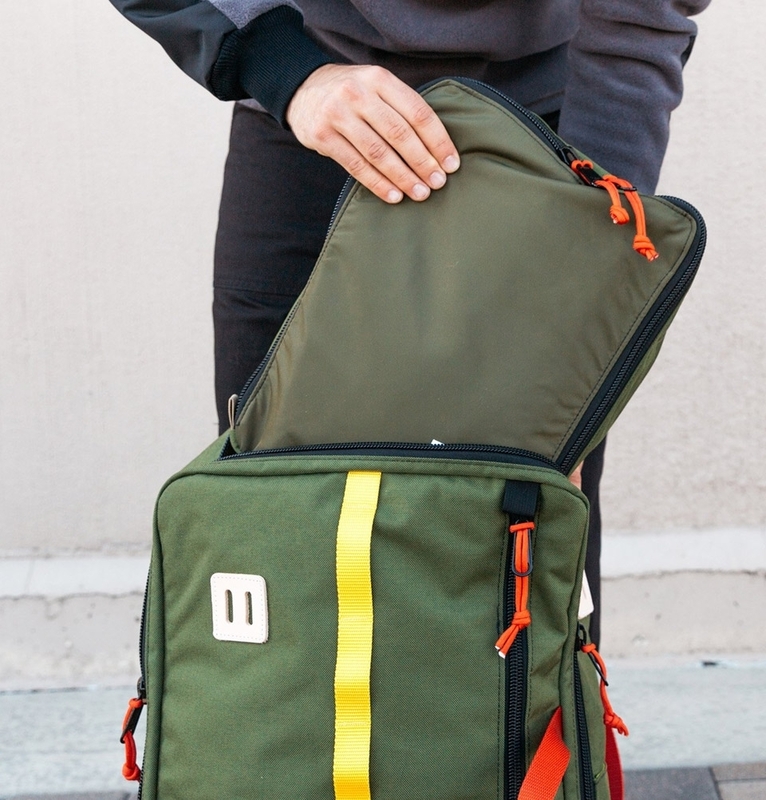 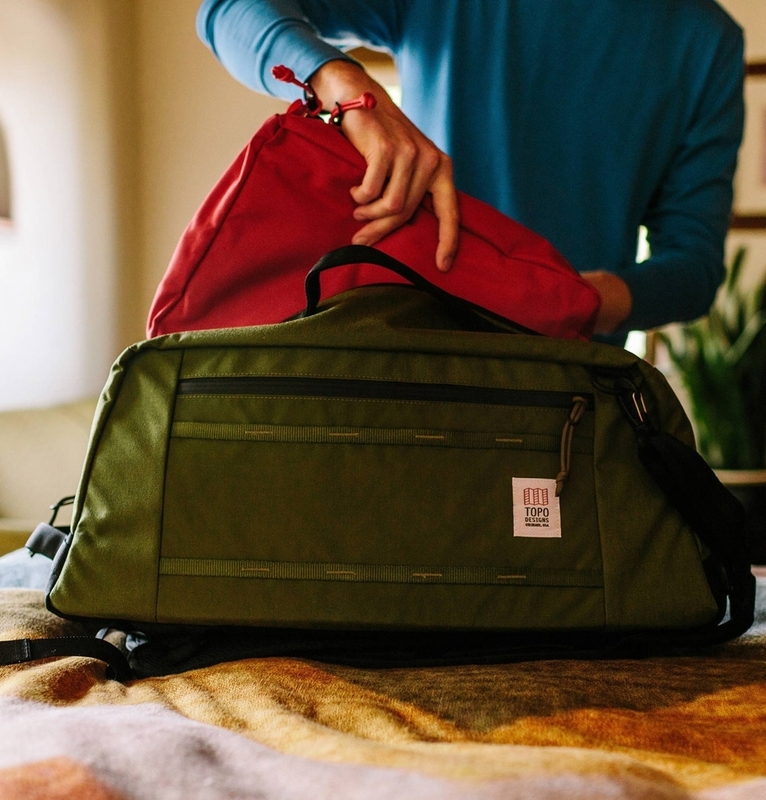 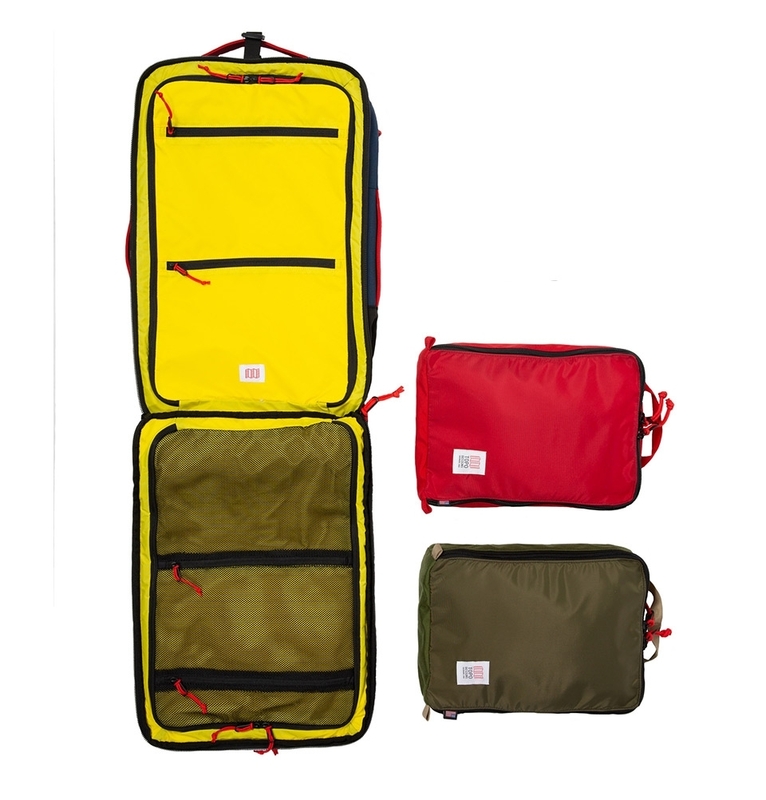 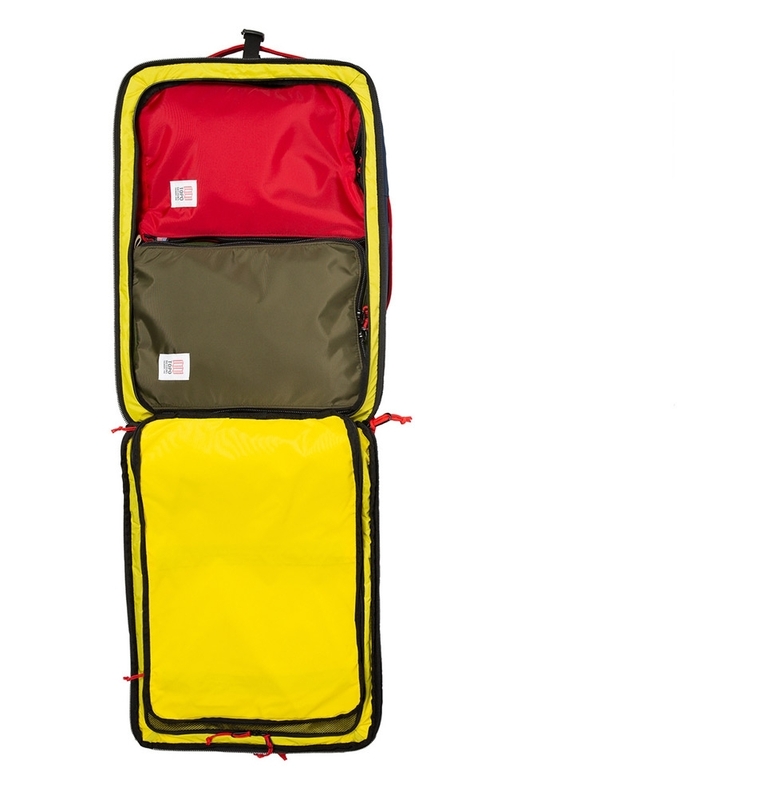 The pack bag is developed to pack down multiple pants, shirts, socks and drawers into one small space. 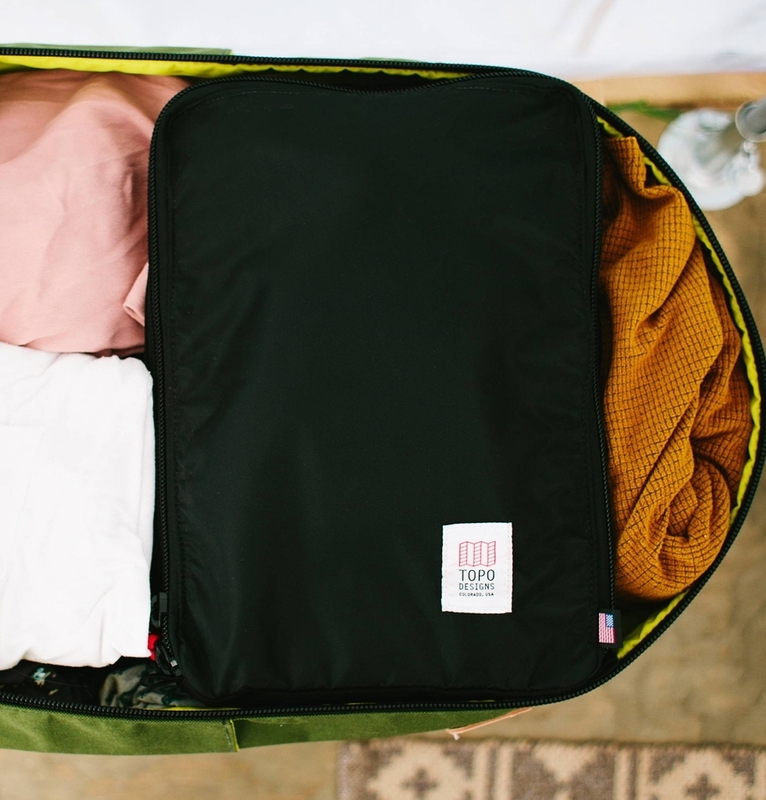 Stack it flat inside your luggage to organize your belongings and to make traveling a little bit easier. 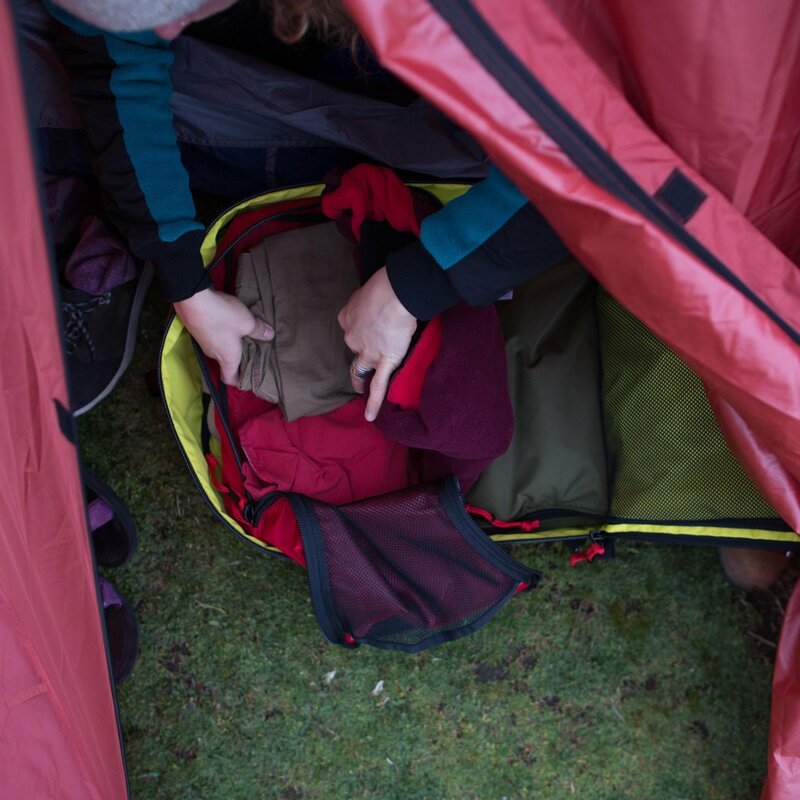 The Topo Pack Bag is a simple, durable and highly functional way to pack down multiple pants, shirts, socks and drawers into one small space. 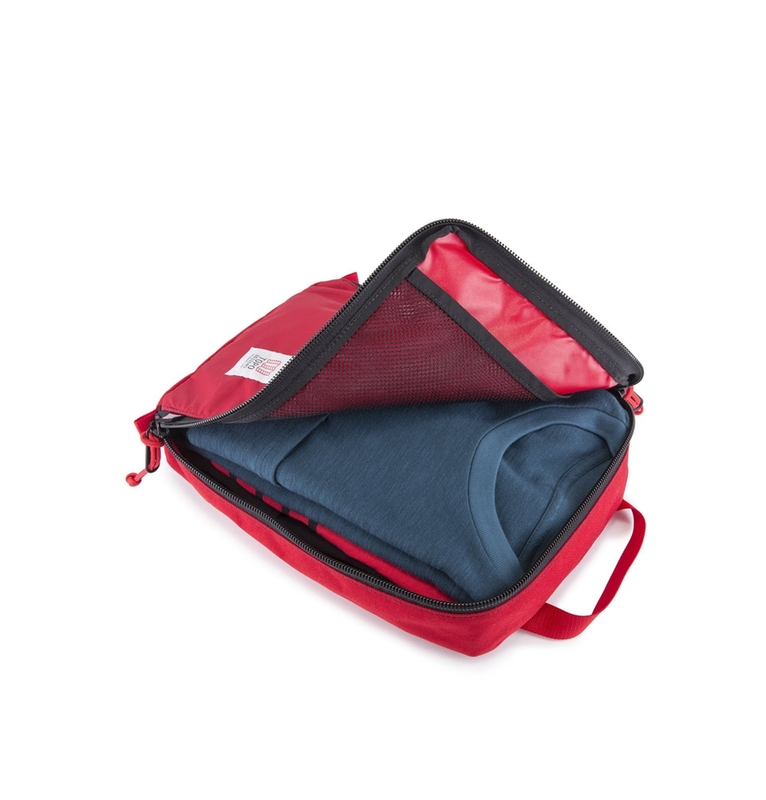 The inner mesh sleeve gives easy access to smaller items and keeps them from disappearing at the bottom of your luggage. 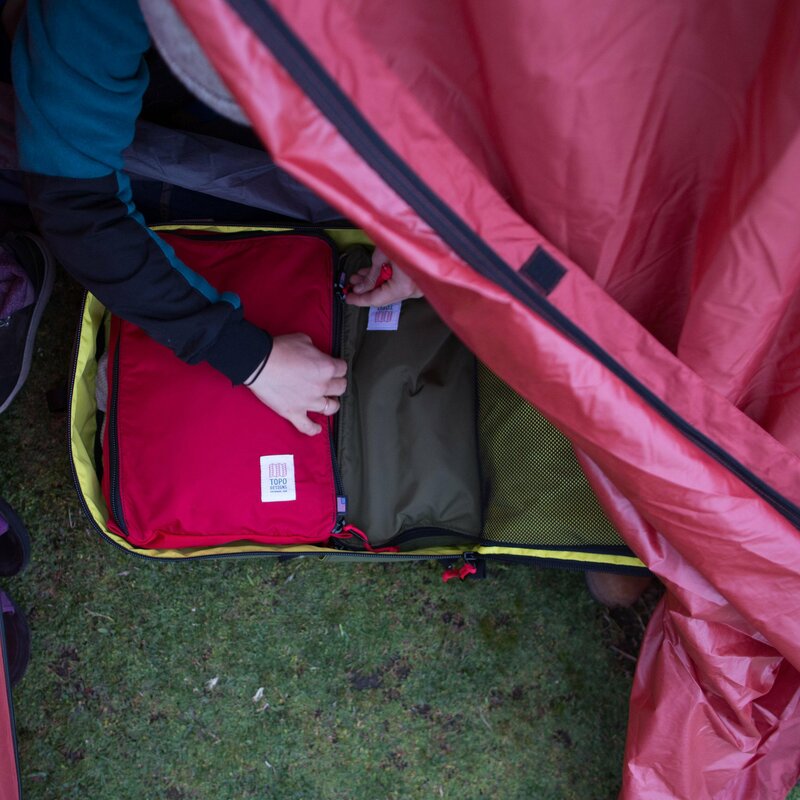 Designed to lay flat, zip wide open and stack neatly inside our Travel Bag, the Pack Bag makes traveling a little bit easier. 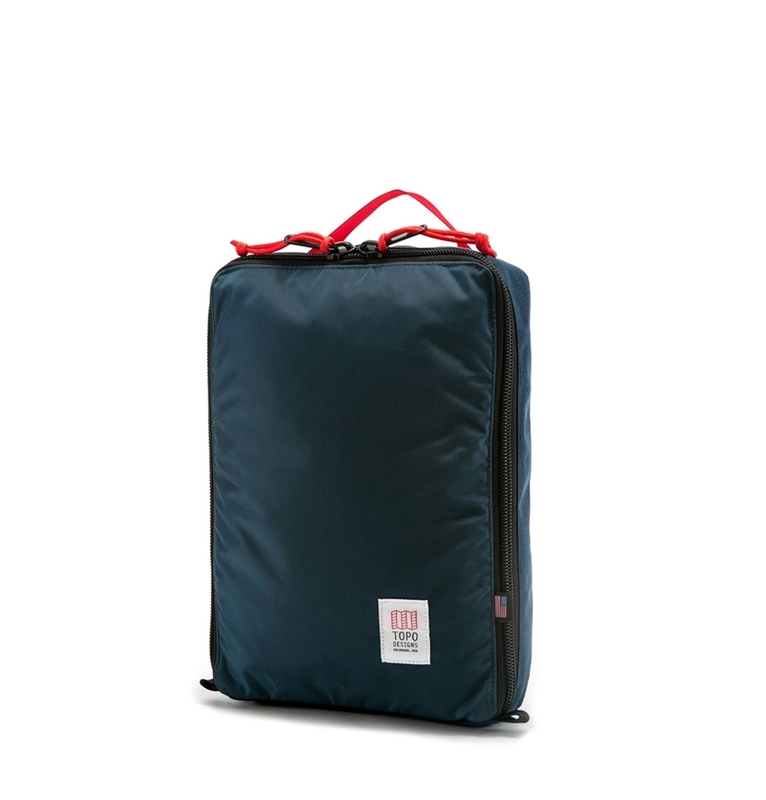 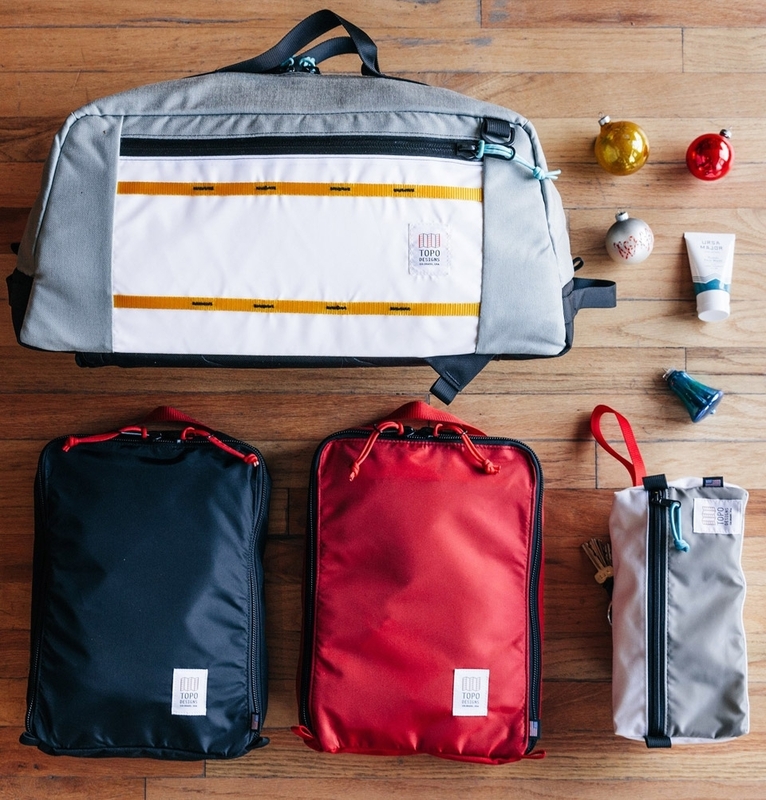 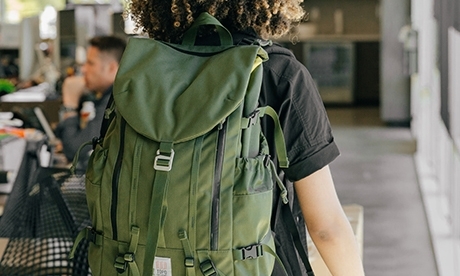 Each Pack Bag is handmade at Topo Designs' shop in Colorado and comes in four colorway options: Black, Navy, Olive and Red.